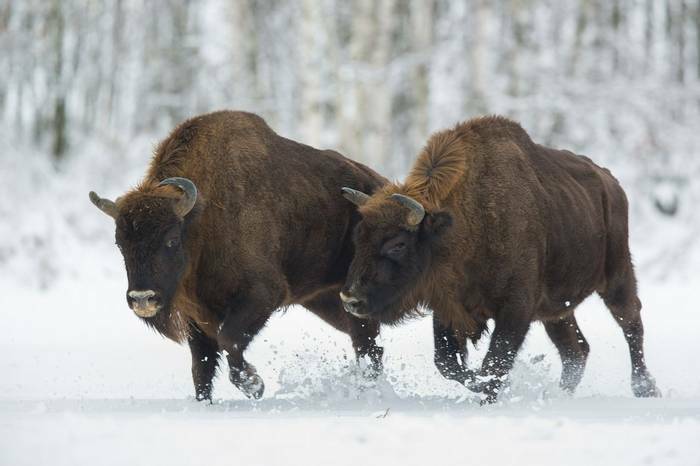 A 7-day winter adventure to Poland in search of large mammals rare or even extinct in much of western Europe. 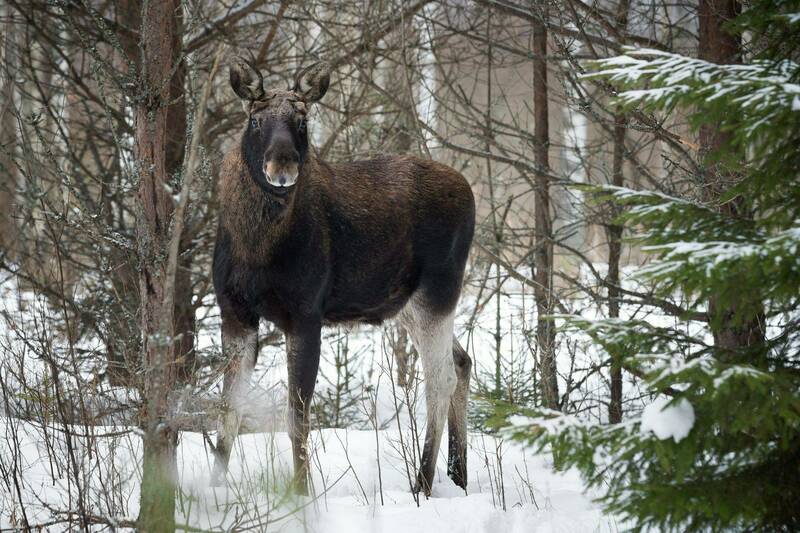 This unique winter wildlife holiday focuses on the large mammals that are rare or extinct in western Europe, but still flourish in the remoter eastern corners of the continent. This holiday explores the meandering rivers of the Biebrza Marshes and the extensive forests of Bialowieza, including the primeval 'Strict Reserve'. Within this snowy landscape live Elk (Moose), Red Deer, Beaver and a variety of birds, along with the impressive European Bison. There will also be the opportunity to listen for wolves howling in the forest. 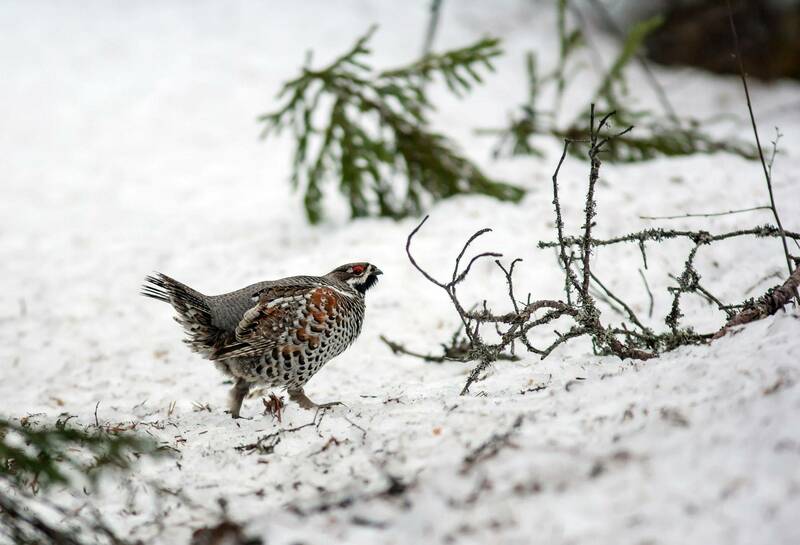 I had an opportunity to enjoy the snowy landscape; view elk, bison, roe deer, and wild boar; experience a forest feast with a roasted wild boar, go on a sleigh ride, and spend several hours viewing wildlife from a high seat at the edge of a forest. The tour guides were informative and entertaining. This was my sixth Naturetrek tour, and every one was great. I recommend Naturetrek highly. All meals from the evening meal on Day 1 to lunch on Day 7 are included in our price. Evening meals are normally traditional style Polish food. In Bialowieza the accommodation is in the National Park Lodge, located in the centre of the Palace Park. Rooms here are comfortable, but not luxurious. In Biebrza the guesthouse is a small, family run affair with comfortable rooms. All rooms have private facilities. European Bison, Wolf, and Lynx. These are three of the many mammals, formerly widespread in Europe but now extinct or rare in the more densely populated west, that flourish in Poland. A number of these animals are easily observed, but some only with difficulty. The object of this unusual winter holiday is to search for the mammals of the Polish forests, and to study their tracks and signs. 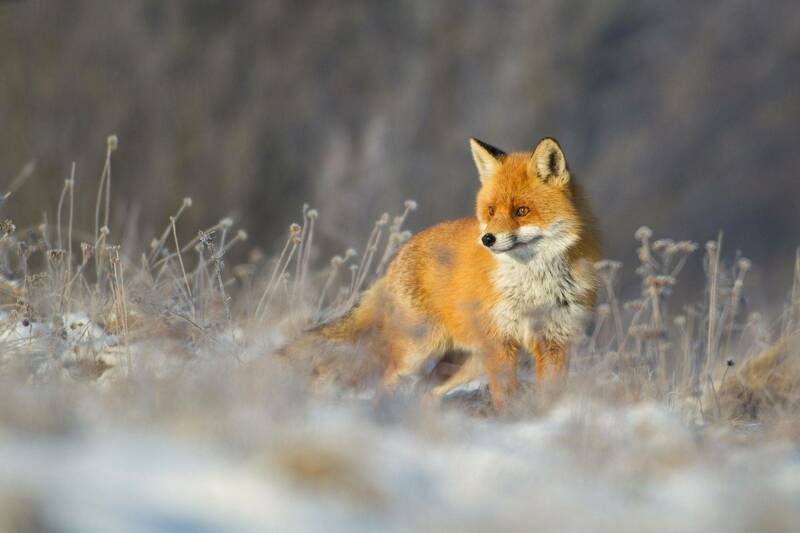 The advantage of travelling in winter is not only the snow cover which makes tracking so much easier, but also the cold weather at this season, which forces many creatures to shun their natural fear of man, and to appear less shy. On our travels, we will also be able to enjoy the winter birdlife of Poland. 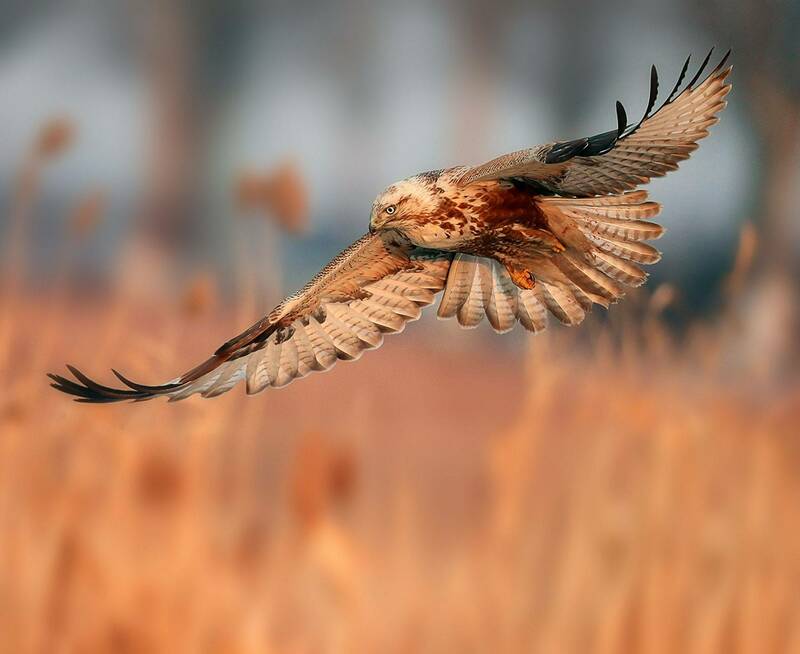 It is true, of course, that many birds desert Poland during this season; but, like the mammals, those that do stay can be more easily found in the vicinity of man, where food is more readily available. 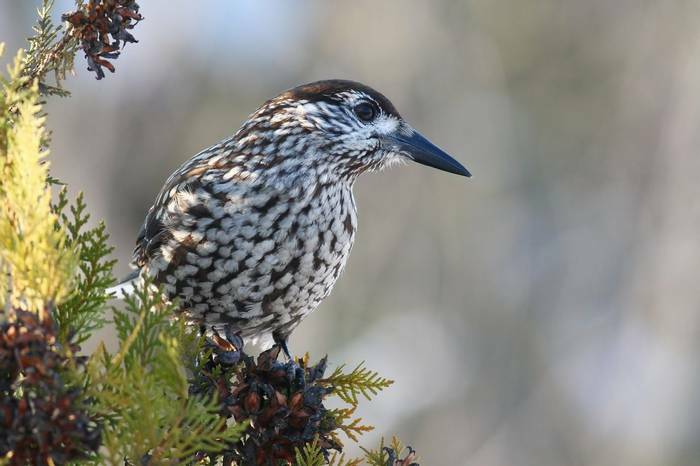 Amongst those that we may see are such dramatic and attractive species as White-tailed Eagle, Rough-legged Buzzard, Waxwing and Nutcracker. 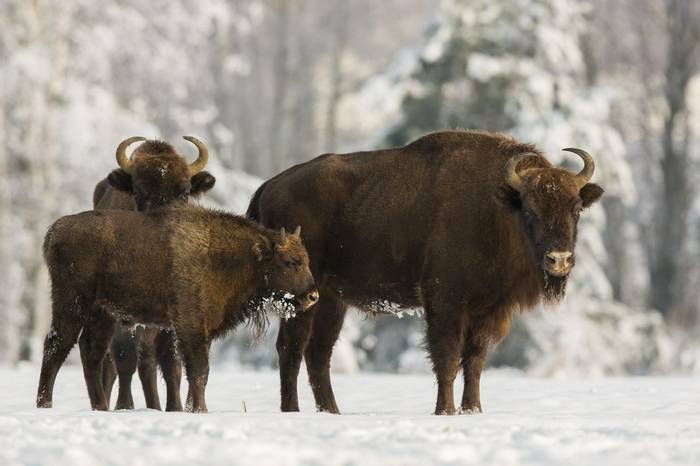 On our arrival in Warsaw we head northeast to Bialowieza, where we will explore the Bialowieza Forest in search of European Bison. The Wisent, as it is also known, is the largest land mammal in Europe and one that became extinct in the wild in the 1920s. Shortly after its demise, a programme of captive breeding was initiated, and in 1952 this magnificent animal was successfully reintroduced back into the forests of northeastern Poland. 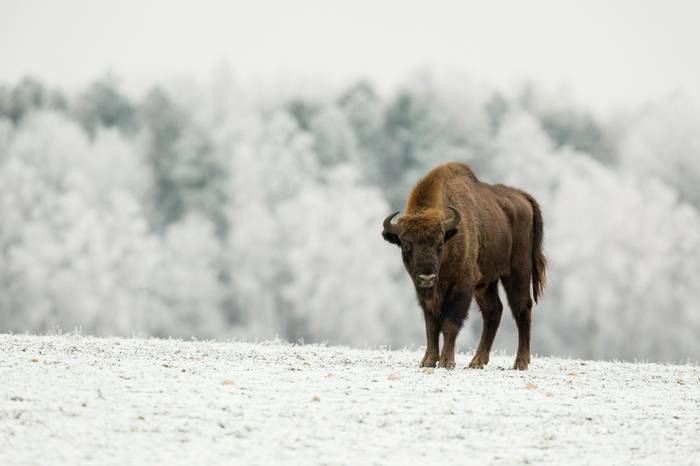 These forests now contain Europe’s last remaining herds of Wisent and the sight of one of these imposing animals slowly plodding through the snow covered forests is sure to be one of the lingering memories of the tour. There are feeding stations around the area which attract them out of the treeline and we have an excellent chance of seeing them during our time here. 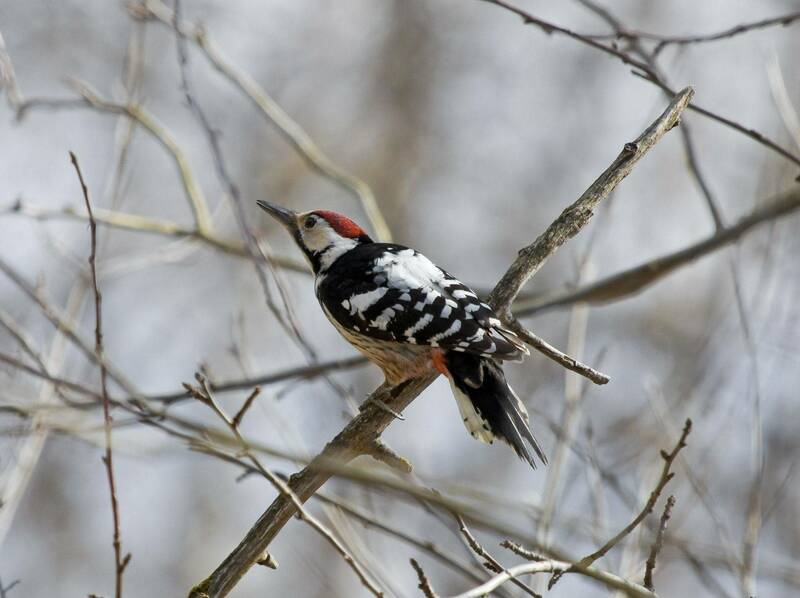 Throughout the forest we will also be looking for woodpeckers, plus Roe Deer, Raven and White-tailed Eagle. In the evenings there will be the opportunity to go and listen for howling wolves in the forest. One morning we will visit the 'Strict Reserve', the heart of Bialowieza Forest, in the company of a locally licensed guide, who will share with us their extensive knowledge of the forest and the wildlife that can be found here. They are well versed in looking for birds and mammals, and will teach us how to decipher the tracks and other signs of Wolf and other larger mammals. 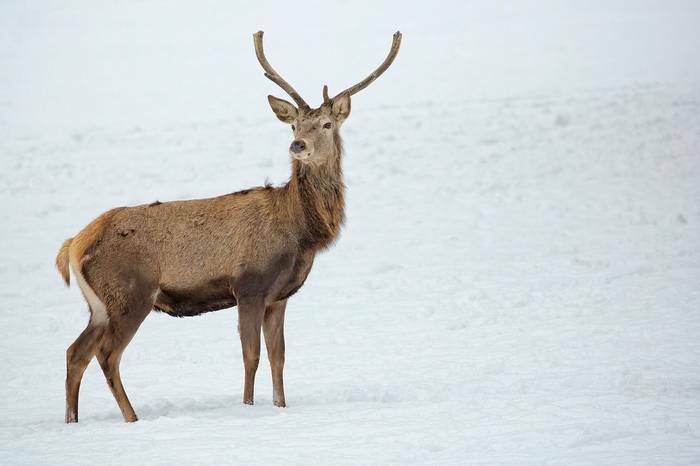 Sightings of Wild Boar, Red Fox, Red and Roe Deer, Elk and Brown Hare are all possible. 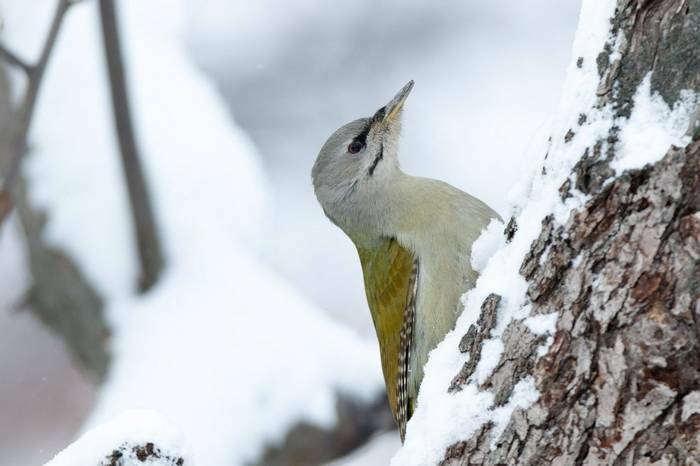 Birds of the area include White-tailed Eagle, Sparrowhawk, Goshawk, Black, Three-toed and Grey-headed Woodpeckers, Waxwing, Great Grey Shrike, Hawfinch, Crossbill and Nutcracker. Our base for the three nights while we search for the mammals, birds and other wildlife of the Bialowieza Forest will be the comfortable National Park Lodge, set in the heart of the Palace Park. Following on from the forest, we will spend our next 3 nights at Dobarz close to the huge complex of marshes and riverine woodlands along the meandering Biebrza River. 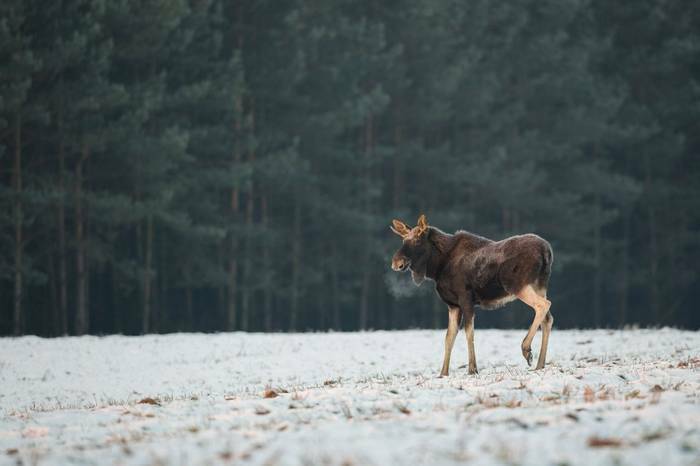 The Biebrza National Park is one of the most important wildlife sites in the whole of Poland and an excellent area in which to look for Elk, the largest cervid in Europe and the same species as the animal known as the Moose in North America. We rarely fail to see it here! 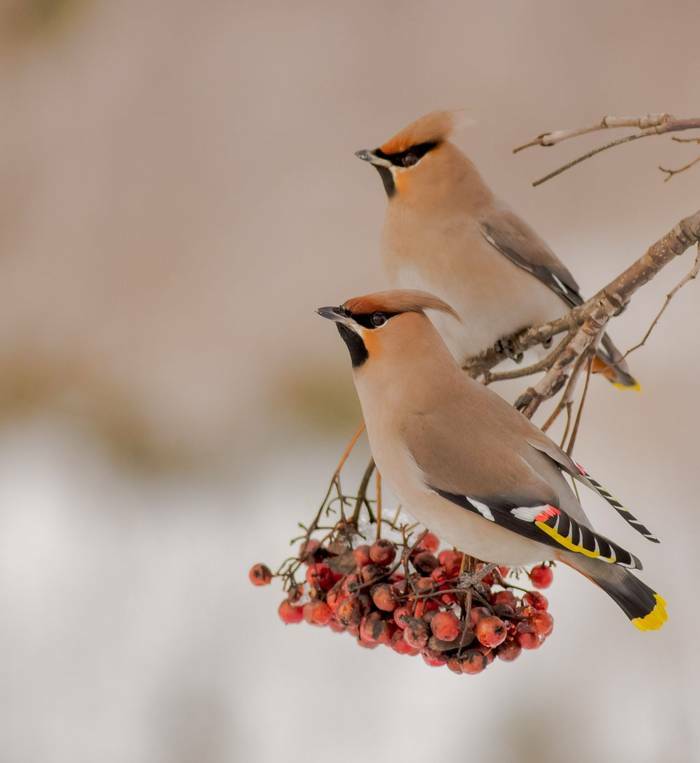 We also hope to find a variety of interesting birdlife in the marshes, with a chance of such species as Golden and White-tailed Eagles, Rough-legged Buzzard, Black Woodpecker and Waxwing amongst the commoner wintering waterfowl, as well as looking out for European Beaver and Eurasian Otter along the banks of the frozen rivers. Finally we must tear ourselves away from this beautiful countryside and return to Warsaw for our flight home. Piotr was absolutely excellent... lodge in Romincka was great, especially the food, which was superb. My wife and myself thoroughly enjoyed this trip. Altogether a very enjoyable trip. This is the third trip I have done with you... this was very beautiful and so clean and quiet. I look forward to travelling with you again. The guides were excellent and informative. The hospitality at all locations was superb. The holiday was very good value. I shall certainly book with Naturetrek again soon! Sinclair and Piotr were fantastic travelling companions and organisers. They were totally professional but also great fun, and mines of information. Nothing was too much trouble for them and they were both an essential part of the making this trip so enjoyable. We found the content of the trip to be both wide ranging and yet at the same time tailored to suit the needs of the group... Sinclair and Piotr were excellent.